Ma Jaya Sati Bhagavati grew up in Brighton Beach, Brooklyn, just a short walk from the famous Coney Island Boardwalk. The homeless people who lived under the Boardwalk taught her “There are no throwaway people,” and inspired her to begin a life of service. When she was in her thirties, a weight loss class led her to learn a simple yogic breath that would ultimately bring about her spiritual enlightenment. From there, her personal spiritual journey moved quickly and at times chaotically. As a modern urban woman, she tried to live a normal life and raise a family; at the same time, as a person of rare spiritual gifts, she daily opened to a series of mystical visions and experiences. She had an experience first of Jesus Christ, then of Shri Bhagawan Nityananda of Ganeshpuri, and finally her guru, Shri Neem Karoli Baba. Since then, her teaching has expanded to express many spiritual lineages. She has followed Christ’s instruction to “teach all ways,” going beyond religious differences to give a contemporary voice to the great truths that underlie all spiritual paths. In 1976, Ma Jaya moved to Florida and founded Kashi Ashram. 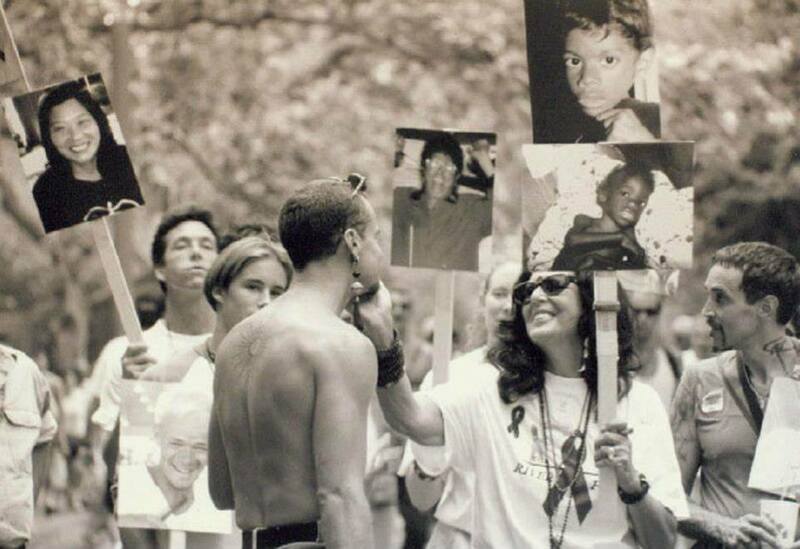 In the 1990’s, she became known especially for her passionate advocacy for people living with HIV/AIDS, and for her support of the LGBT community. Among her other accomplishments are developing Kali Natha Yoga, a modern yoga system drawn from ancient roots; guiding the River Fund, a service organization with projects in India, Uganda, and the US; founding By the River, a model community for low income seniors; and creating a large body of sacred art and writing including her recent book The 11 Karmic Space: Choosing Freedom from the Patterns that Bind You. Ma Jaya is considered by many to be a spiritual master who has attained inner realization. She teaches that divinity is ultimately beyond words and without form, and yet manifests in countless ways to lead us to liberation. She embraces an interfaith approach, believing that all paths of love lead to the truth. She offers the example of a spiritual path alive with love, faith, creativity, service, and the rituals of many traditions. Emphasizing individual spiritual growth, she teaches seekers at all levels and does not ask her students to follow any particular set of doctrines or beliefs. Or, as Ma Jaya puts it when she describes her own teachings, “This is not a religion!” Rather, she encourages her students to use what she teaches within their own faiths or traditions. She asks them only to practice kindness. To purchase photos, books, CDs and DVDs of Ma Jaya, visit Ma's India. Click here to listen to podcasts by Ma Jaya on topics like Shakti Wanting, Drink as you Pour and Step Outside of Time. Ma Jaya passed away on April 13th 2012. You can visit her memorial website at Majaya.org. We're excited to share that this site is currently being redesigned to become the online resource for all of Ma's life and work.